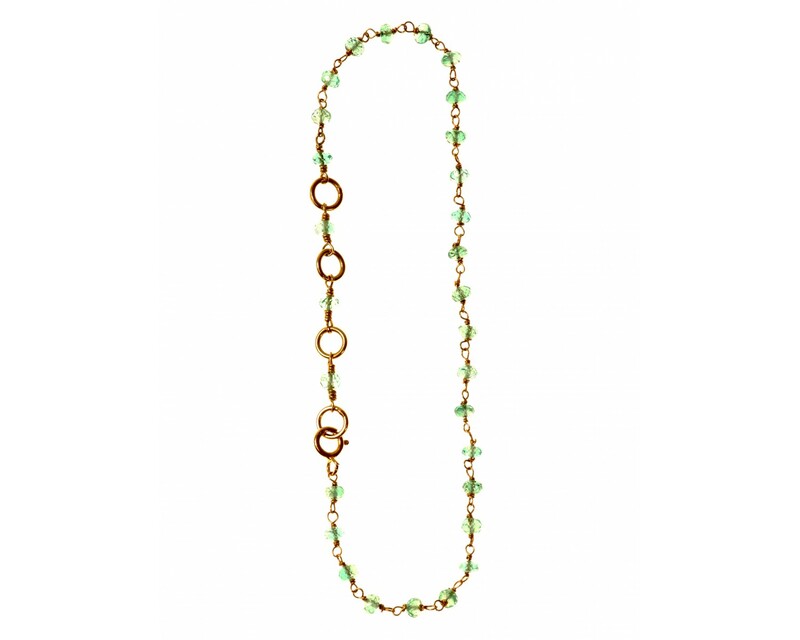 Emeralds set with 18ct yellow gold chain. 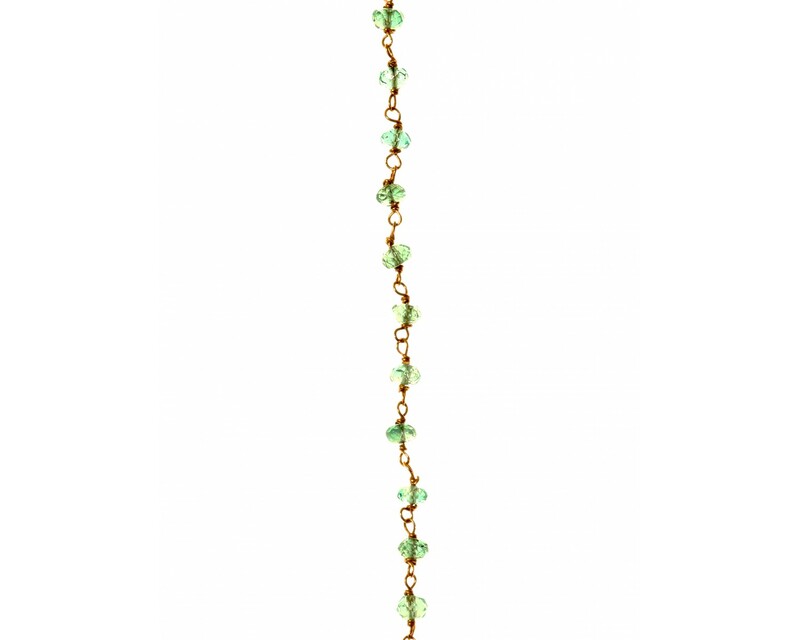 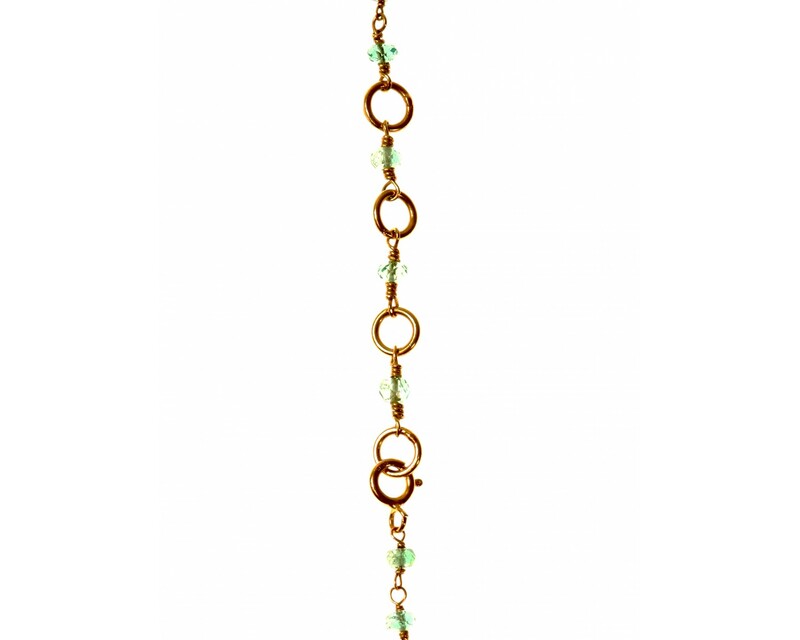 This delightfully delicate emerald whisper bracelet has a gorgeously clear light green colour. 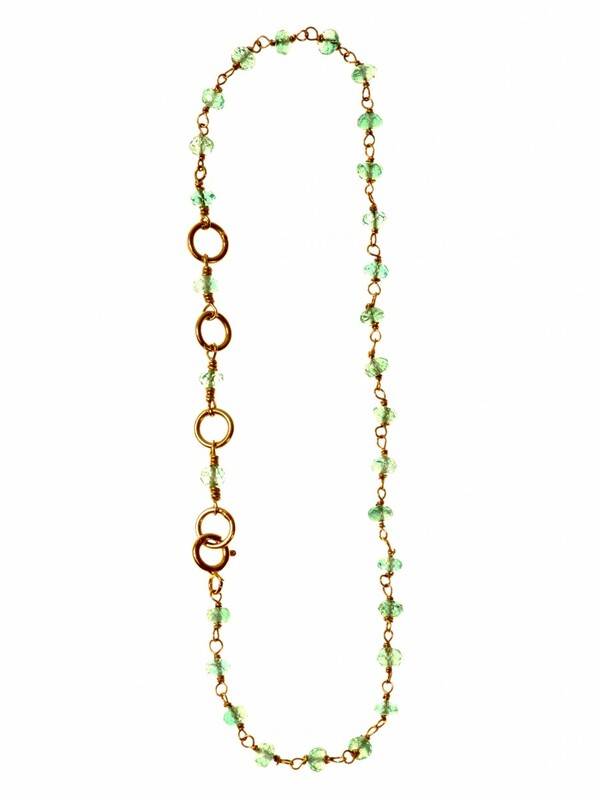 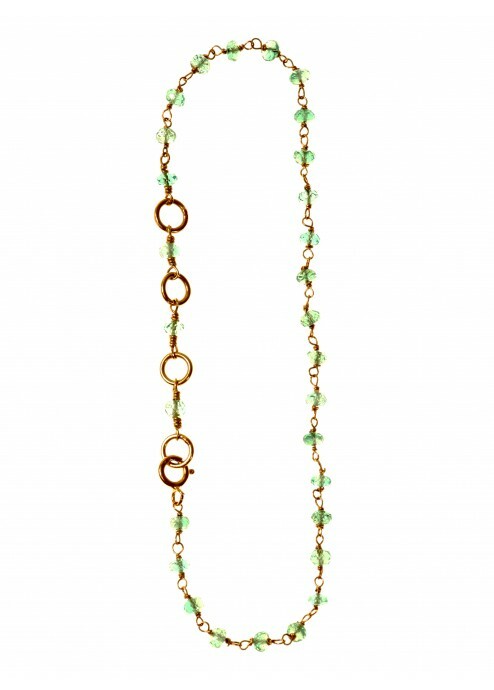 It could also be happily matched with one of our delicate emerald whisper necklaces.